Sriracha is a Thai-inspired hot sauce made from chilis, vinegar, garlic, sugar, and salt. This sauce is inspired by Thai cuisine but developed in the state of California in the US,and in the past decade has enjoyed enormous popularity internationally. 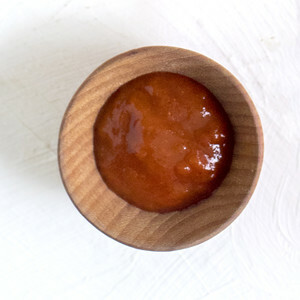 Sriracha's distinctive acidic fire can be enjoyed as a table condiment in Vietnamese pho, stir-fries, soups, and more, or as an ingredient in other sauces. It's spicier than some traditional American hot sauces, so a little of it goes a long way.